Why is Delhi's electricity demand rising so rapidly? On June 8, Delhi’s peak electricity demand broke all previous records, hitting a new high of 6,934 megawatt (MW) at 3:28 pm on June 8, which is 6 per cent higher than last year’s peak. This is surprising because even though Delhi has crossed the 2017 record four times since June 1, it was not even the hottest day of the season so far! The earlier record of 6,526 MW was set on June 6, 2017, which was a hotter day than June 8, 2018. In fact, Delhi's peak demand has been consistently higher than that of Mumbai, Kolkata and Chennai taken together during this time of the year. So why is it that a city which provides electricity at a cheaper rate per unit than mega cities and also provides a subsidy is seeing a peak so rapidly? A new analysis by the Centre for Science and Environment (CSE), released today, shows how an insidious link between subsidised electricity, rising ambient temperature, growing use of ACs and inadequate central regulations of ACs is triggering the huge demand for electricity in Delhi. “Without any pricing or energy efficiency measures to reduce the demand for electricity or substantial substitution with renewable energy, environmental and economic costs can escalate significantly,” says Anumita Roychowdhury, executive director, research and advocacy, CSE. 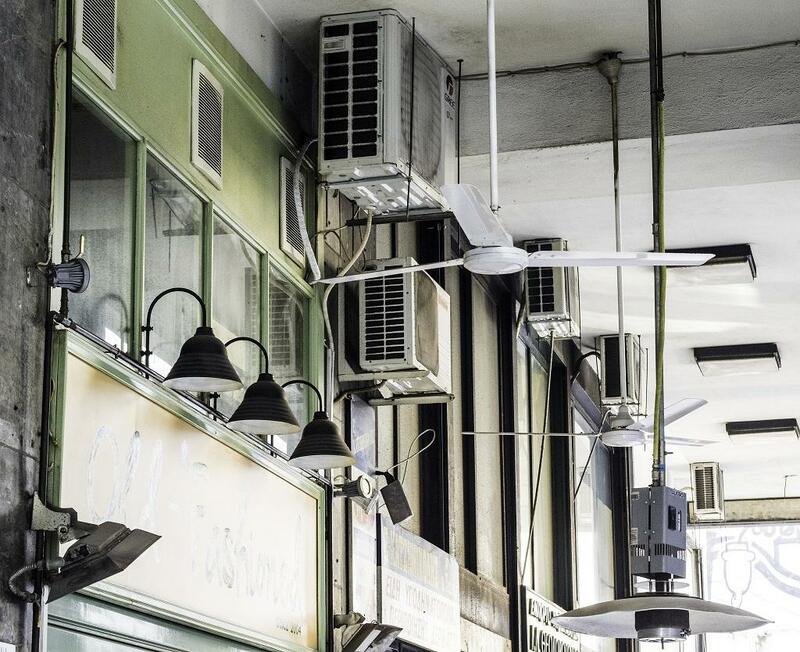 CSE carried out the analysis to understand the trends and nature of demand in the city, and the likely impact of growing dependence on air conditioning to escape the heat. Electricity consumption in Delhi has grown by almost 42 per cent between 2006-07 and 2017-18. Peak demand has grown by staggering 64 per cent between 2006-07 and 2017-18. On an average, an electrified household in Delhi consumed about 260 kiloWatt-hour (kWh) of electricity monthly in 2016-17, which is almost three times the national figure of 90 kWh. This is similar to the electricity consumption of an average German household. What has the electricity subsidy got to do with the surge? The Delhi Electricity Regulatory Commission has slashed electricity rates for domestic consumers by 12-25 per cent across all consumption slabs this year. The new tariff is among the lowest in the country -- but the Delhi government makes it even cheaper by providing a 66 per cent subsidy on the rate for households that consume less than 400 units a month and an additional rebate of Rs 100 on the fixed charge to households that consume less than 100 units a month. The effective electricity rate in Delhi is Rs 1/unit for the first 200 units, and Rs 1.5 for the next 200 units. The 400 subsidised units can accommodate the use of one AC, lights, fans and other appliances depending on the nature of use. If a 3-star split AC runs for six hours a day for 30 days in a month, it will consume about 260 kWh of electricity, which can be easily covered under the subsidised 400 units a month offered by the Delhi government. Delhi government data shows that the subsidy was availed by 82 per cent of homes last year – which means even higher income households are benefitting from the subsidy and the low rates, since there is no mandate for energy audits or compulsory disclosure of annual energy consumption. Can a penalty for over-consumption help cut down energy use? Even if consumption crosses the limit for subsidy, the normal rates are very low -- much lower compared to other mega cities. In Mumbai, the electricity price ranges from Rs 3.67 to Rs 10.37 per unit; in Kolkata, Rs 4.89 to Rs 8.92 per unit; in Noida, Rs 3 to Rs 5 per unit; in Gurugram, Rs 2.7 to Rs 6.3 per unit; and in Bengaluru, Rs 3.4 to Rs 7.6 per unit. Even the highest slab with maximum rate in Delhi kicks in only if the monthly consumption crosses 1,200 units and is charged just Rs 7.75 per unit; in comparison, the maximum tariff in Mumbai is of Rs 9.95 per unit and is applicable on all monthly consumption above 500 units. Also at fault are the Centre’s policies for poor energy efficiency standards for ACs. Between 2013 and 2018, India produced over 26.5 million AC units, of which about 60 per cent were 3-star. A recently released report, The Future of Cooling by the International Energy Agency, notes that when it comes to energy efficiency of ACs, India has the worst market average of measure of energy efficiency (3.2 Seasonal Energy Efficiency Ratio) compared to major economies like the US, Europe, Canada, China, Japan, Korea, and Singapore. It also notes that the best AC (6.2 Seasonal Energy Efficiency Ratio) available in India is subpar compared to the global best practice. In other economies, the SEER varies from 11 in Europe; 7.7 in Japan; 9.7 in South Korea; 7.5 in China; and 12.3 in USA. This worsens energy impacts because the energy performance of an air conditioning system depends on the outdoor weather conditions and indoor temperature settings. A 2016 study by CSE had found an average 20 per cent increase in the energy consumption of a 5-star split AC compared to its labeling when outdoor temperatures hit 45o. It also noted that cooling capacity also dropped by 13-15 percent. After the release of the CSE report, the Bureau of Energy Efficiency (BEE) extended the Indian Seasonal Energy Efficiency Ratio (ISEER) ratings that were originally designed for inverter ACs to split and window ACs as well. ISEER is supposed to take into account the varying performances of ACs under different outdoor temperature conditions and computes efficiency by comparing energy consumed at the cooling provided over a year based on historical metrological data. However, the system is still generic and defeats the purpose of ISEER which is supposed to provide realistic data to consumers. This often leads to under-reporting of energy consumption. ISEER for split and window ACs is tweaked in a fashion that it gives the same efficiency rating as under the old system , which the CSE study had found to be faulty). There is a 2-star difference between ISEER benchmark for window ACs and split ACs, even though both run on same fixed-speed compressor technology. In other words, a 5-star window AC is only as efficient as a 3-star split AC. This is causing unnecessary confusion among customers, giving a false impression of prospective savings to buyers of window ACs. According to the newly released report of the Central Electricity Authority on Load Generation Balance Report 2017-18, Delhi is consuming more electricity than any of the following individual states: Himachal Pradesh, Jammu & Kashmir, Uttarakhand, Chhattisgarh, Goa, Kerala, Bihar, Jharkhand, Odisha, Sikkim and all states of the North-east. Delhi’s residential energy consumption is even more shocking. The total energy consumed by Delhi households is more than that of all households in Gujarat, one of the richest states, with a population about three times that of Delhi. Already in Delhi, the household electricity consumption per capita is about 43 units per month as against national average of 25 units per month. The intensity and duration of AC use can be reduced substantially if buildings are designed more sensibly to reduce heat gain. Summer heat is being trapped by climate-insensitive construction and a highly concretised urban-scape. Inappropriate architectural design and material used in the hot and dry climate of Delhi -- such as glass-dominant structures, predominant use of concrete, and use of large windows and flat concrete roofs without shading -- traps a lot of heat. Even though the nights are cooler, buildings cannot release heat effectively, and hence require active cooling. “It is clear that a supply-driven subsidy policy for electricity and weak performance standards for cooling devices can prove to be counter-productive and perpetuate energy crisis, forcing more and more power generation at high environmental and economic costs. This needs urgent attention as in Delhi, for instance, space cooling accounts for almost 25-30 per cent of the annual consumption of electricity. During the summer months, as CSE finds, this can go up to 45-50 per cent of the electricity consumed,” said Roychowdhury. Read CSE’s recommendations for the Delhi government here.